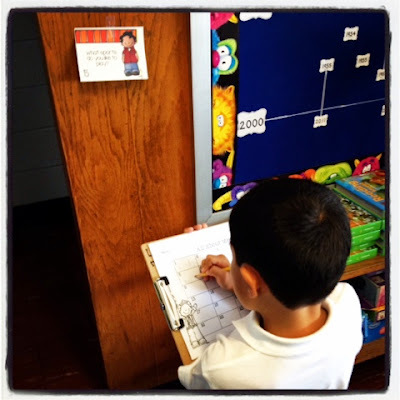 (One) We learned how to use our clipboards to complete my All About Me activity. This was a great way to show them how we use clipboards to read the room, it also taught me a lot about my students. They loved going around and filling out all the answers. This activity is available in my Teacher Pay Teachers Store. (Two) We had a ton of fun this week with Go Noodle! The kids loved it, and I loved that it helps get the wiggles out so we can focus again. This was a lifesaver this week, as we all know the first weeks are rough, especially when you have to explain all the rules and procedures. 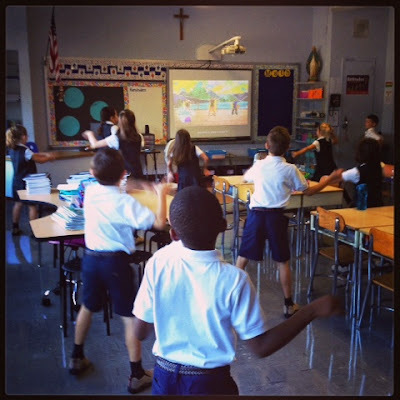 I do break it up, but Go Noodle makes it fun! (Three) We ended our first day with some Pop Rocks, and a short write/draw as to why second grade is going to rock. Some of my students never had Pop Rocks, so they were very excited to go home and eat them. 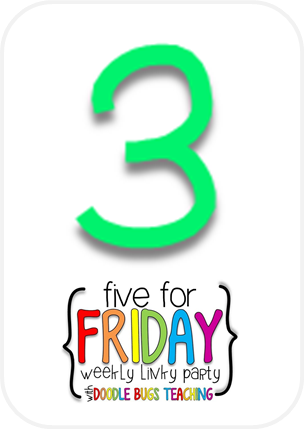 (Four) We started up the Daily Five this week, I started last year and can't wait to start it with a new class. I hope it works as well with this class as it did last year. 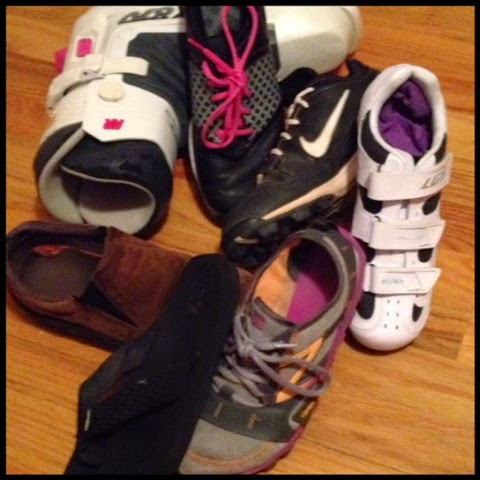 They loved the Good Fit shoe lesson we did this week. (Five) My friend sent me this yesterday, and yes it seems to fit. Even though it was a 3 day week, it felt like much longer! Now I am off to recharge for Tuesday! I hope everyone had a fabulous week with their students, and if you haven't started back yet then good luck with your first day. Click the picture to see what others were up to this week! 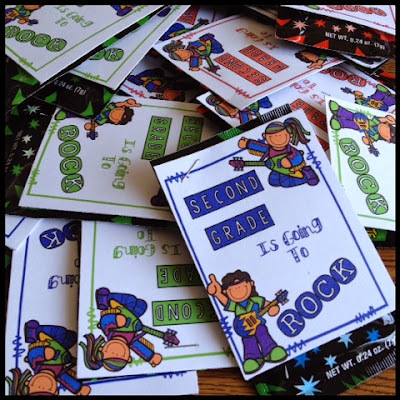 Today is our first day of school, I am giving out these Pop Rocks, to go with the writing activity. What do you do on the first day? Visit Christina, at Sugar and Spice to see what everyone is linking up. 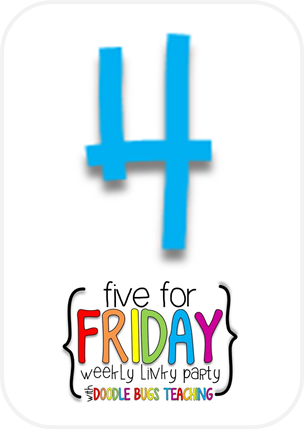 Five For Friday- Last Week of Summer!!! So this is the end of summer, everyone seems sad, but I am happy!!! Don't get me wrong, I do like summer, but I love teaching and I miss it in the summer. I have been back to school a lot already getting things done, but there is nothing like teaching. Here are five random things from this past week. Last Friday night we had our championship game, and we won!!! 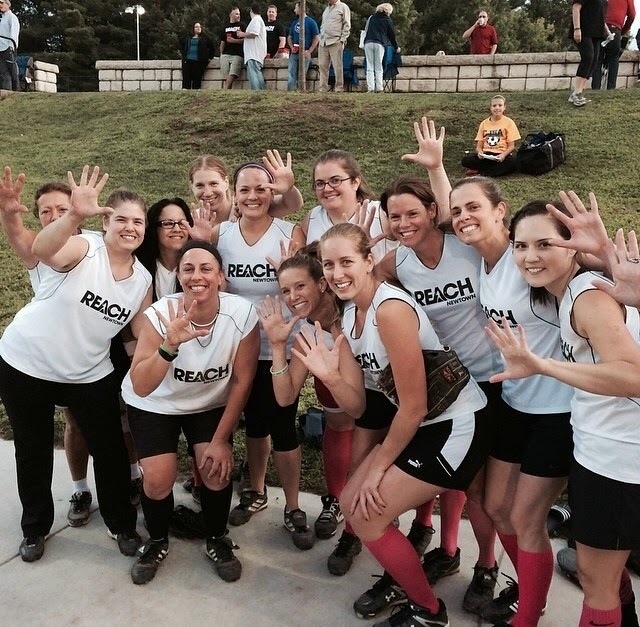 The reason we all have five fingers held up instead of one is because this is our 5th year winning the league. This is a summer league so it is great, it starts after school gets out, and ends before we go back, it is so much fun, I enjoy my summer softball! 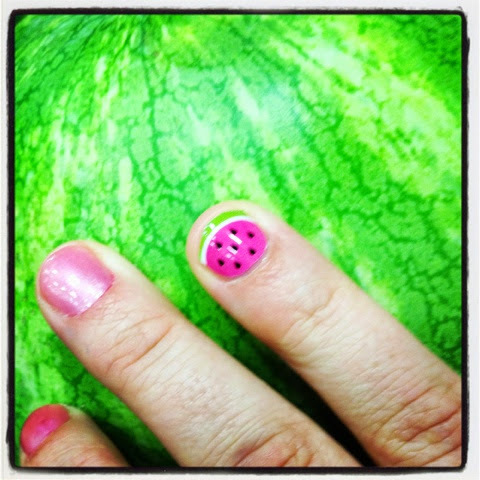 One of my favorite things about summer is watermelon, so when I saw they had them in the Jamberry nail things I had to get them. Of course I did something wrong and the nail only lasted a day, I guess I will have to try again. I did get the alphabet to put on for the first day of school, hopefully I do it right this time! 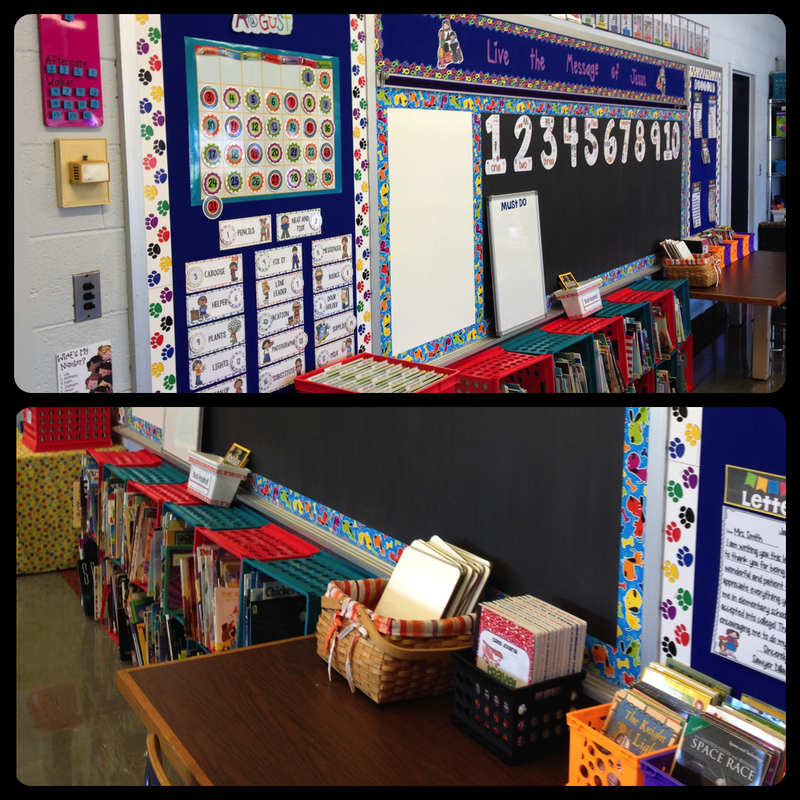 My classroom looks ready for my students, I say that because there is always "more" to do. But, if the kids were in tomorrow it would be just fine. 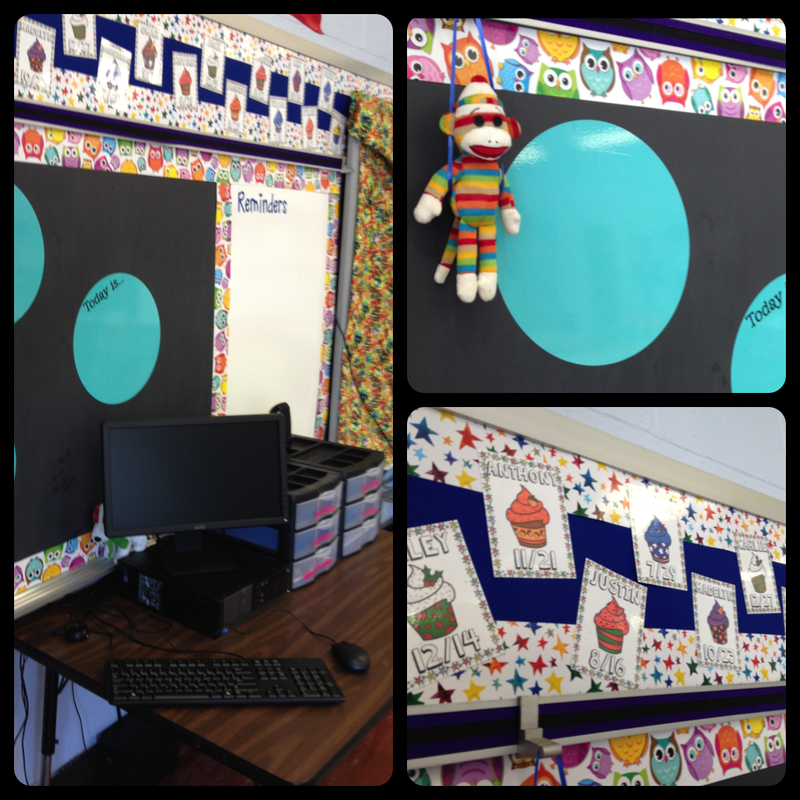 You can see my classroom reveal in one of my earlier post this week. It feel so good having my room "set". 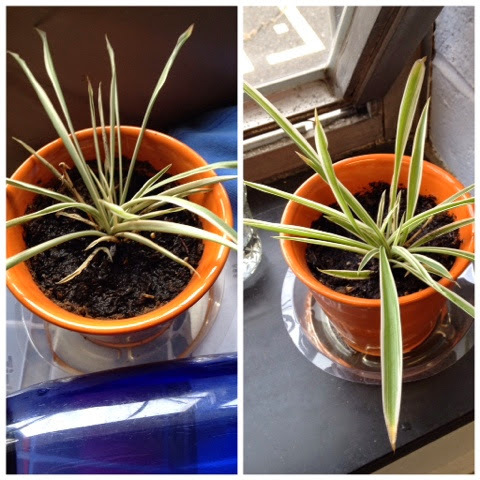 Lastly this week is my poor spider plant. The picture on the left was taken Wednesday, when I realized the poor thing looked all wilted and dead, I kept forgetting about it all summer. I watered it and hoped it would bounce back, on Thursday it looked all healthy again. I guess you really can't kill one of these plants, and its a good thing because this one is special. A boy from my class gave it to me as an end of the year gift, he is taking a baby from the plant he got in Kindergarten and giving it to the teachers as he goes through the school, I didn't want to kill his second grade connection! I also think it may need a bigger pot soon. I am so bad at keeping plants alive, that is why I never had one in my classroom, I have a black thumb. I did make plants a job this year, so hopefully the kids will keep it alive! 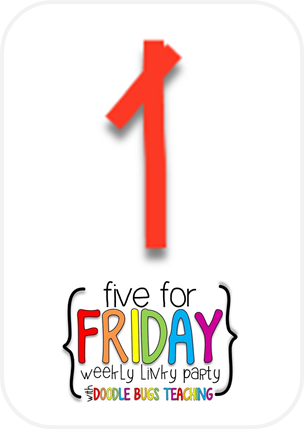 Thats it for my Five For Friday, next week I will have school pictures! 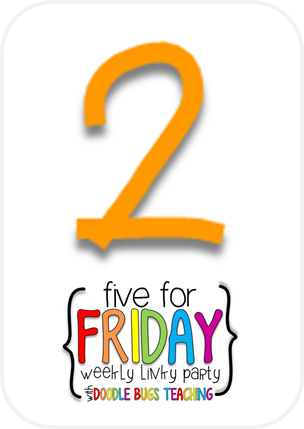 Stop by http://doodlebugsteaching.blogspot.com to see what everyone else was up to this week. 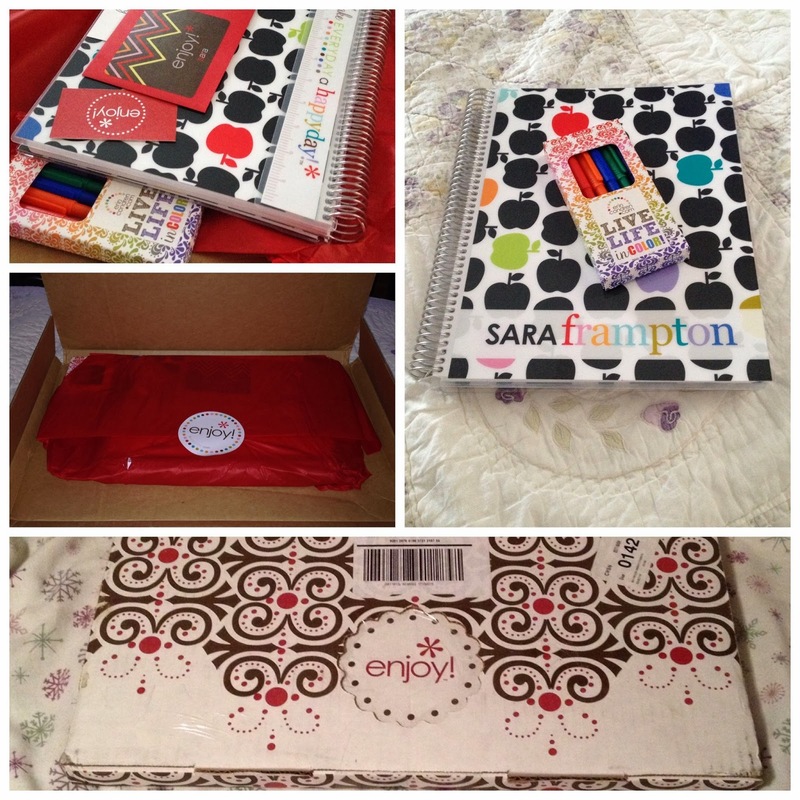 I have always felt that it is important to be organized in the classroom. If I am not organized how do I expect all of my students to be organized? And, if we all aren't organized its just chaos! I also feel like I am always evolving in my organization, and I am ok with that. What works one year may not work in another year. 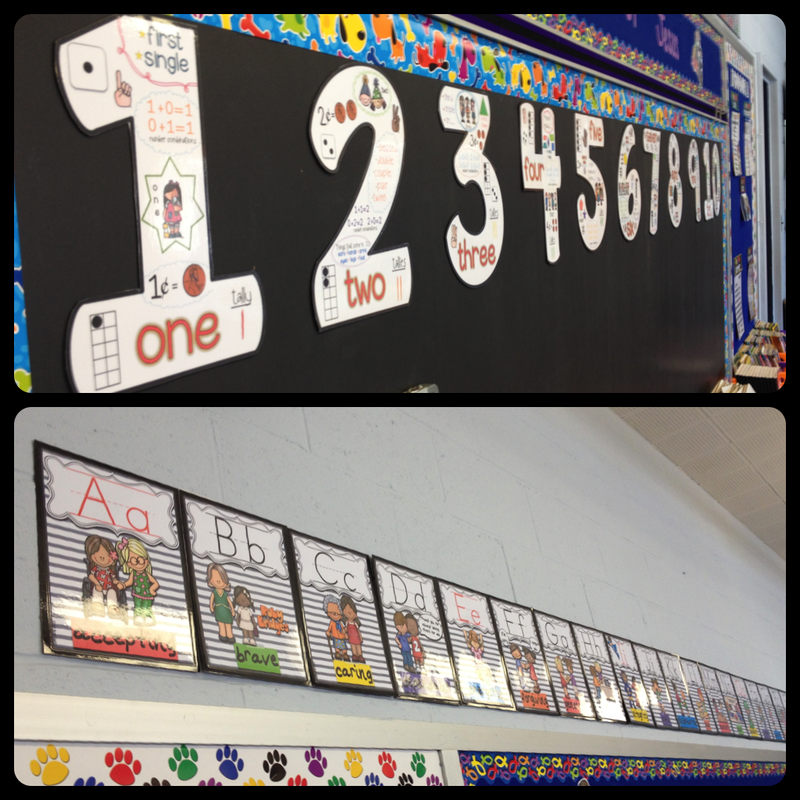 It also helps that my grade partner is super organized as well! You can check out her organization post here. I have also taught my students that everything has a home, so often when something is wrong I ask them where that items "lives" it helps them associate where items can be found. I decided to show you what is new for my organization this year, I hope it all works but I can always tweak as the year goes on. 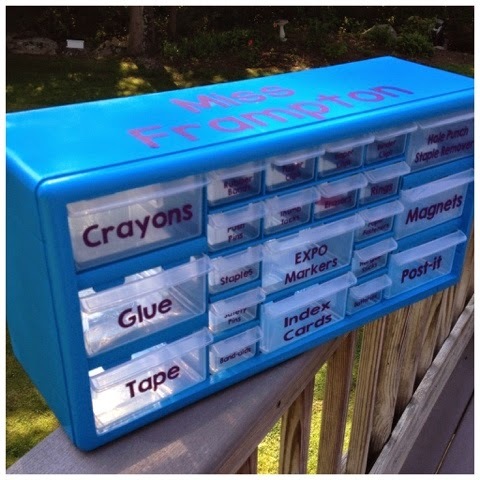 First up is this Teacher Toolbox that I made over the summer. I know that it is going to be a great success because it already has been. While setting up my classroom I always had what I needed at my finger tips. This is where my teacher toolbox "lives" in my classroom. I have also kept an empty desk for years, it helps me stay focused and organized. I also feel the less clutter the easier it is to keep things neat and tidy. My job chart will help with organization this year. 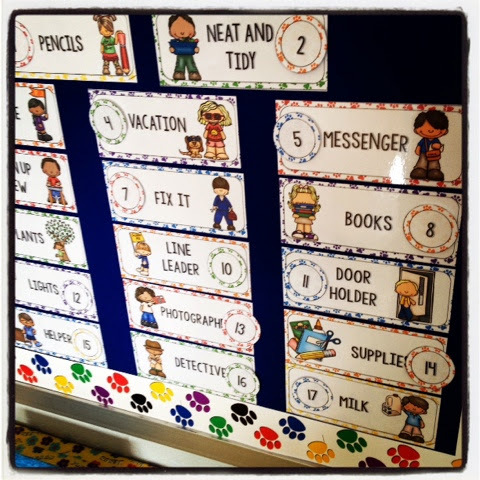 This allows everyone to have a task for a sense of responsibility and ownership in our room. I have a job on the list this year called "Neat and Tidy" this friend will walk around and make sure everything is where it is supposed to "live", no one can be visiting a friend at the end of the day! Just a side note on the neat and tidy, it all came from a student last year. We were in a room, that lets just say wasn't so neat and tidy. This little girl came over to me and whispered, "How do you stand being in here, its not neat and tidy?" Yes, I contained my laughter, and swelled with pride all at the same time. She, as so many others have embraced the neat and tidy! 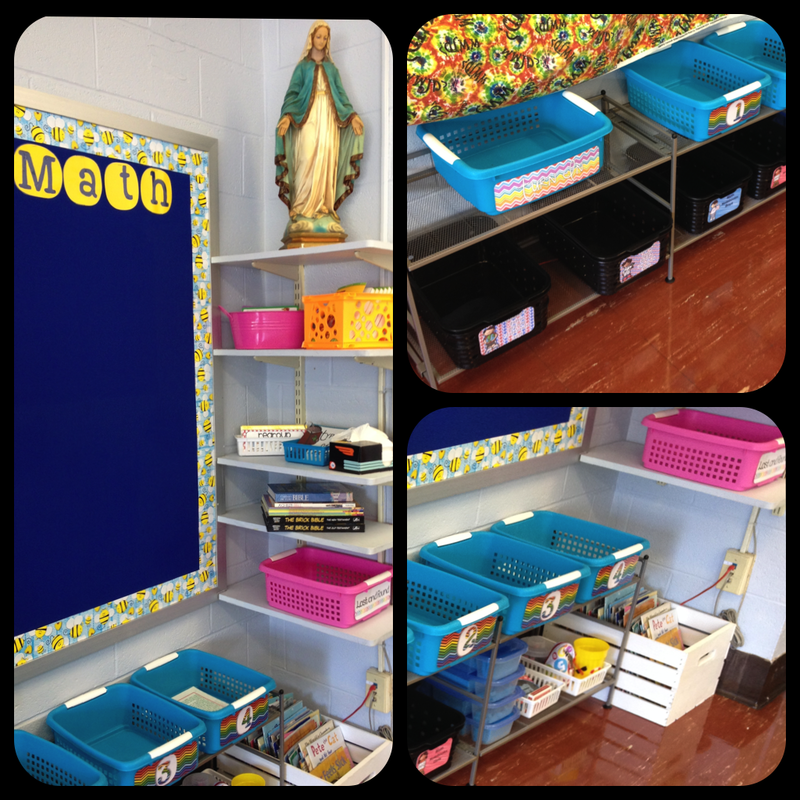 The use of buckets or bins this year for centers is new, as is this shoe rack to store all of my math items on. In the past I have used the poly envelopes, and felt that thing got lost in them. My goal for the buckets is that it will be more open and easier to see and maintain them. The picture on the left is the one I want to focus on (I'm sorry these are the picture from my reveal and I don't have the originals on this computer to separate them out) This is the rack I purchased on Amazon for my reading centers. Like the math they are all in buckets, the toolbox back here is from last year, I just relabeled it. But, the real item is the buckets on top, they are labeled by reading unit and I am going to put the centers in gallon ziplocs after we finish. They are empty now because we are starting a new reading series this year. 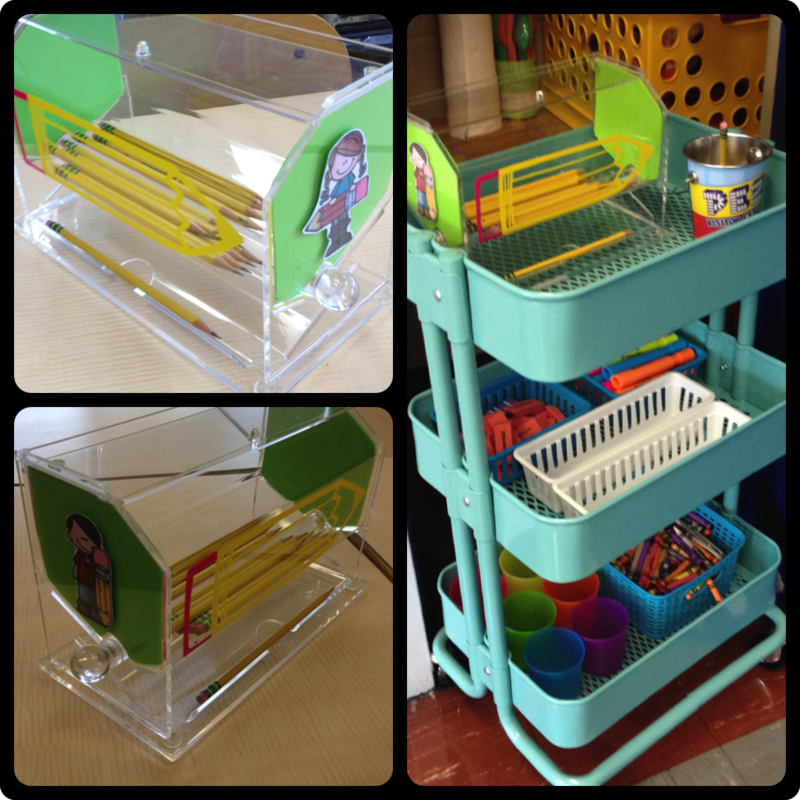 I plan to do the same for my math centers as well, but haven't purchased those bins yet. We have a new math series as well, so I wasn't in a rush, lets wait for a paycheck to come in. My final new item this year is my EC Planner. My school does electronic lesson plans, so I always did them that way. However, my grade partner, always wrote them out as well, so last year around February I tried it and fell in love. I have loved writing out the plans, I feel so organized and remember so much more. I was the type and forget about it before, never looked at the plans after they were done. Now I write in pretty colors, and refer back to my plans, I love it so much I splurged for the nice planner. I even got a life planner and couldn't be happier. I was never into this before but I feel so much better now that I am doing it, and I never even realized it was missing out before. Finally, I know its not new, but without it I would be lost! This is where my files are kept, where I create, and where I can be me. I carry it to school and use it there everyday, at school we have a PC and it just isn't the same. 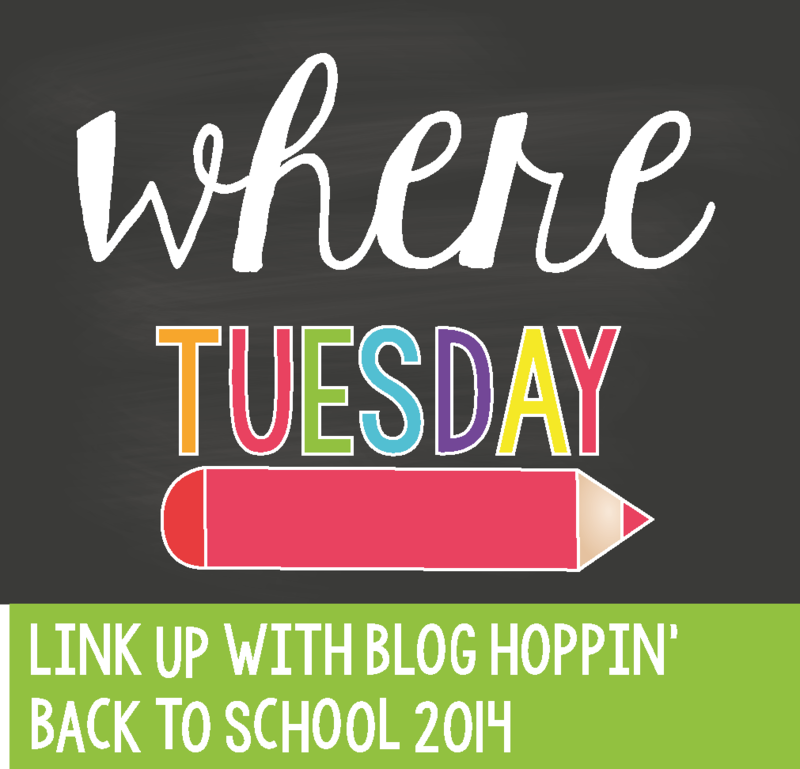 Today I am linking up with Bloghoppin' for my Classroom Reveal!!! 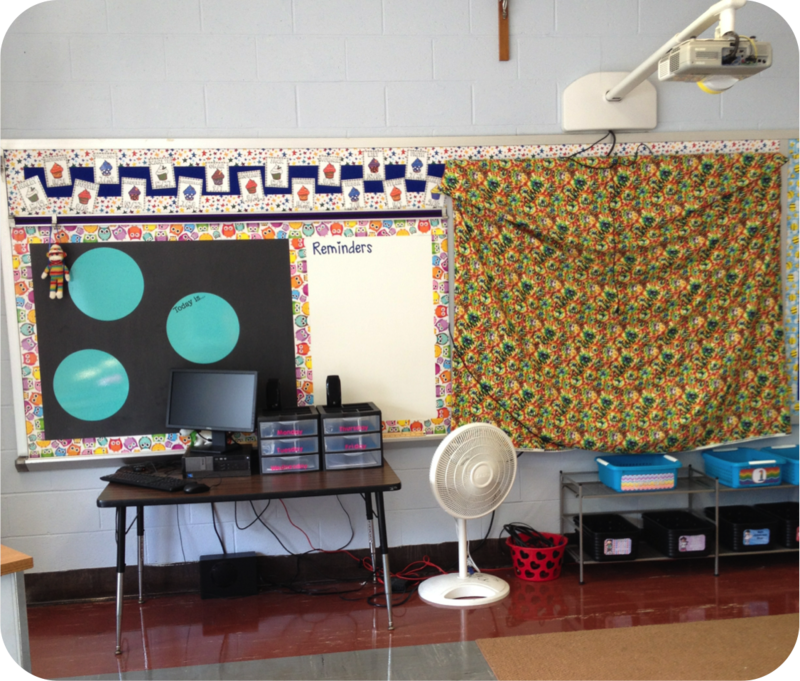 As of today, this is what my classroom looks like. The kids don't come back until the 27th so it may change. If you were to stand at the door and look to the back this is what you would see. If you looked at the front this is what you would see. If you were to look just at the side wall it would look like this. The wall opposite this wall is just windows, I forgot to take a picture of it, but you can see part of it in the classroom panoramic shots at the end. Now for some of the details! The numbers are from Cara Carroll and you can get them here. The ABCs of Character are from Nicole Swisher, you can get them here. I love the details in both of these, the students will get so much more than just the number and letter! This is the dismissal chart I made, you can see it on this Monday Made It Post, under it I have a sign telling all the numbers in case someone needs to know a students number. Next to that I have the calendar, my job chart, and the "mail". You can read more about the job chart here. 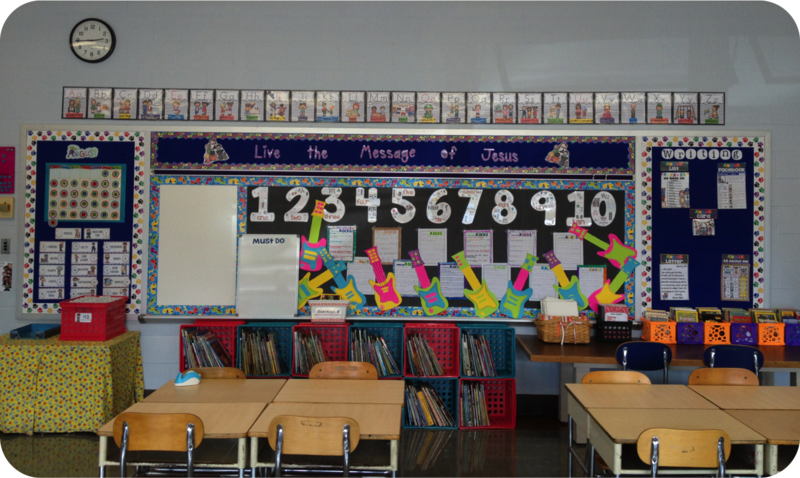 Here is a side view of that wall, you can see my Live the Message of Jesus board, that is our school motto. 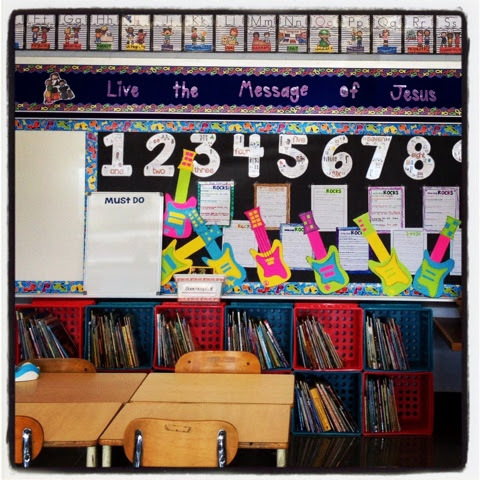 You can see our class journals and white boards in this picture. The white on the board is just contact paper from Go Write, I just put it up and am hoping it works as good as the reviews said. I can't use chalk because of my asthma. The little white board on the ledge is our must do board. 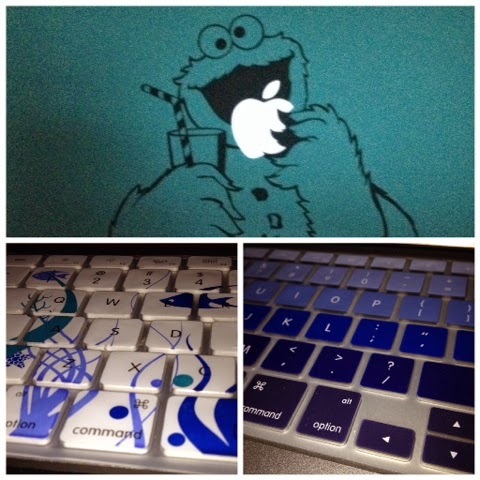 This is the writing board, I got it from Mel D-Seusstastic you can get it here. There are many writing activities, I am going to switch the 5 as the year goes on. In the pink and blue crates I have my picture books, fiction is on top and non fiction is on the bottom. 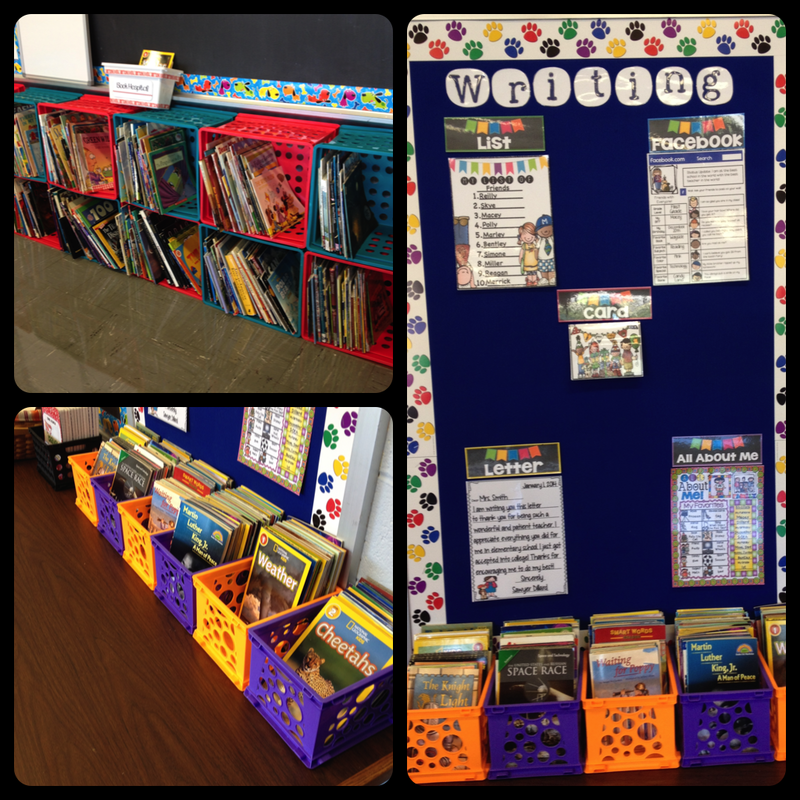 In the orange and purple crates are the leveled readers. The rack holds my word work area, and bins for Language arts. 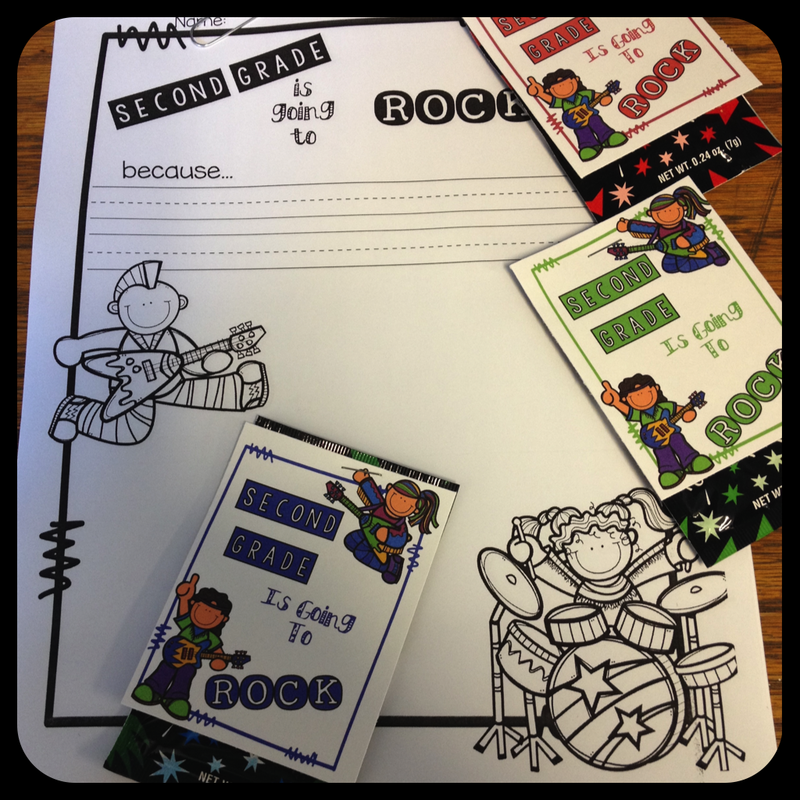 It also has the bins for the students Interactive Reading Notebooks. Next to the rack is a table, on the top is the bin of clipboards, under it is the unfinished work bin. The top 2 shelves of the rack are for my teacher storage. Those are all of my chapter books. In the last pictures you can see my closet door and front door, I included them so you can see the blue writing on them. 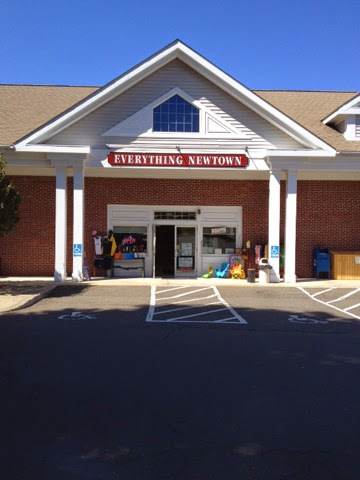 It is hard to see in the picture but one door says horizontal along the top and vertical down the side, the other says row across the top and column down the side. 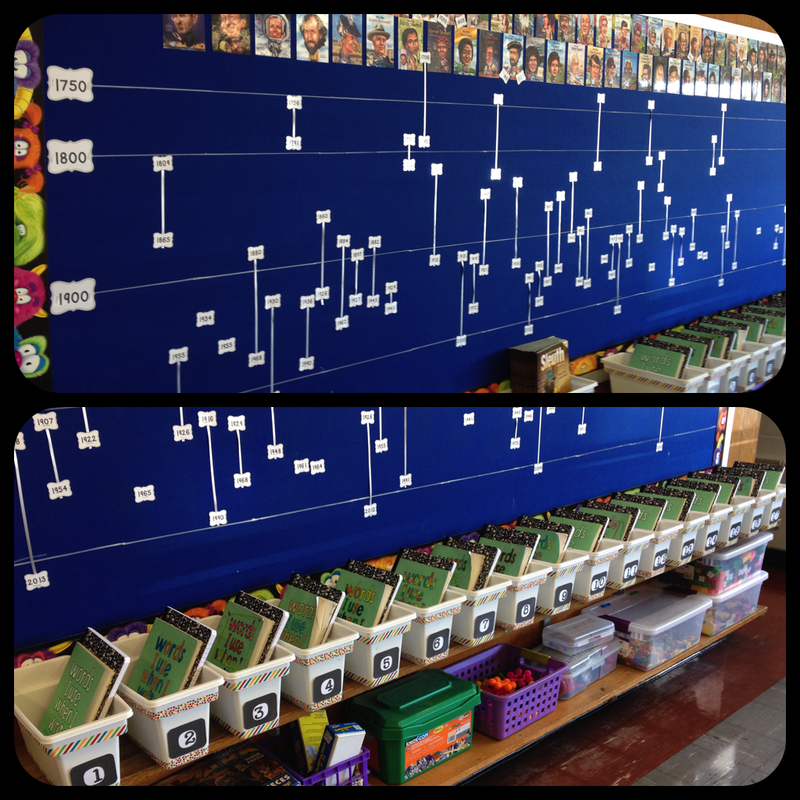 This is my timeline, I love this timeline inspired by my class last year. On the top is the covers of the Who Is books, we have the entire series ( I have a shopping problem), under the cover you can see on the timeline when they were born and when they died. Every inch is 10 years. Under the timeline on the shelves are the student book bins, and their reading books. On the bottom shelf there are toys, and items for math. 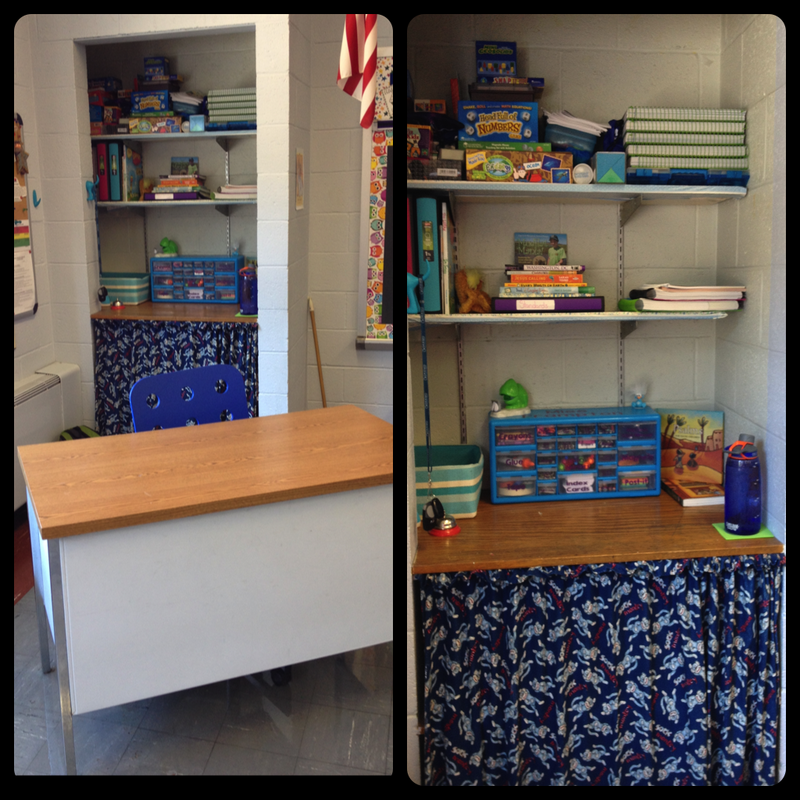 This is my teacher area, my desk is always completely cleaned off at the end of the day. I like to work on an empty surface, behind my desk is what I call my hole. Behind the curtain are extra supplies, teacher items, student files, etc... 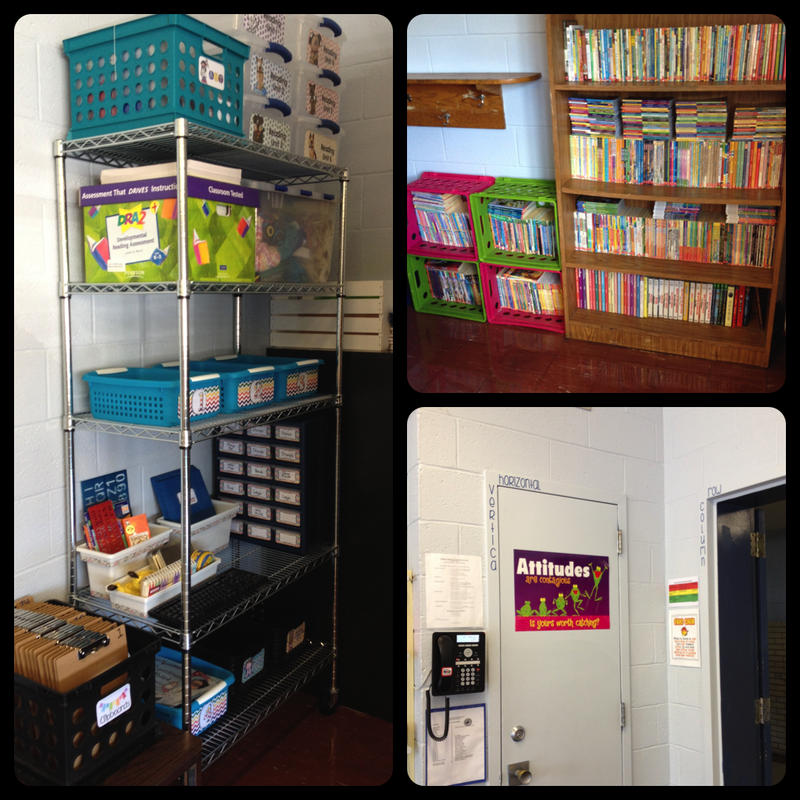 In the open you can see my teacher toolbox, some manuals, special games and activities, and some select books. If you look closely you can see the doggie bottom I got from IKEA, I hang my keys on the tail. This is where my computer is, also on the desk are my daily bins where I keep the copies for the day. On this board I put some more of the GoWrite white board contact paper and added the word reminders. The blue circles are dry erase as well, one is for the date, another is for our class mascot Julian's message, and the other is for whatever I decide. Above that chalkboard I have my birthdays. 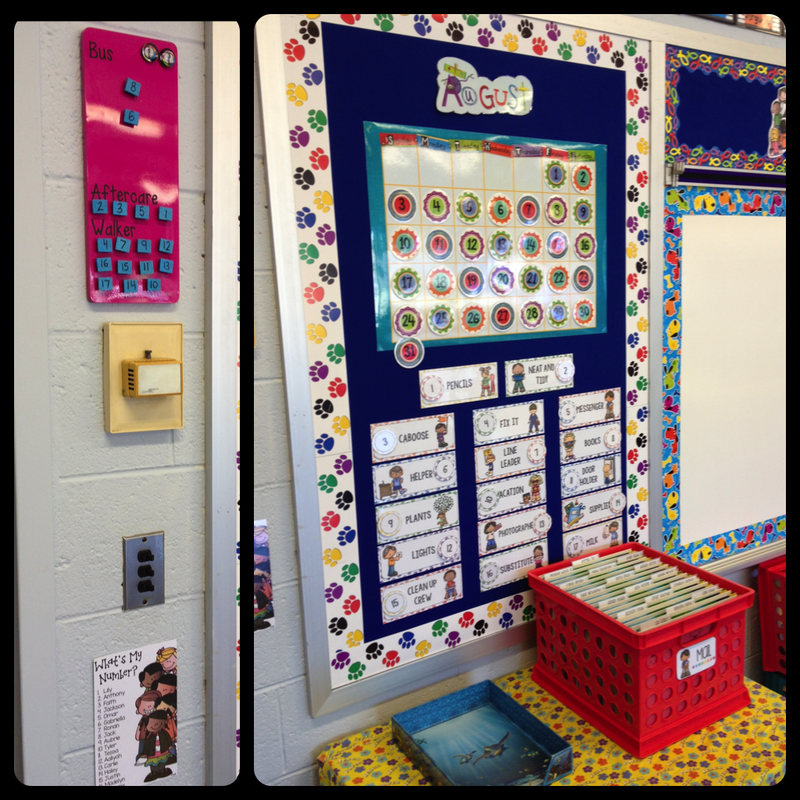 I picked up this shoe rack this summer and decided to make it an area by my smart board. In the first section the turn in bin is on top and the black bins are for Science/Social Studies Interactive Notebooks. 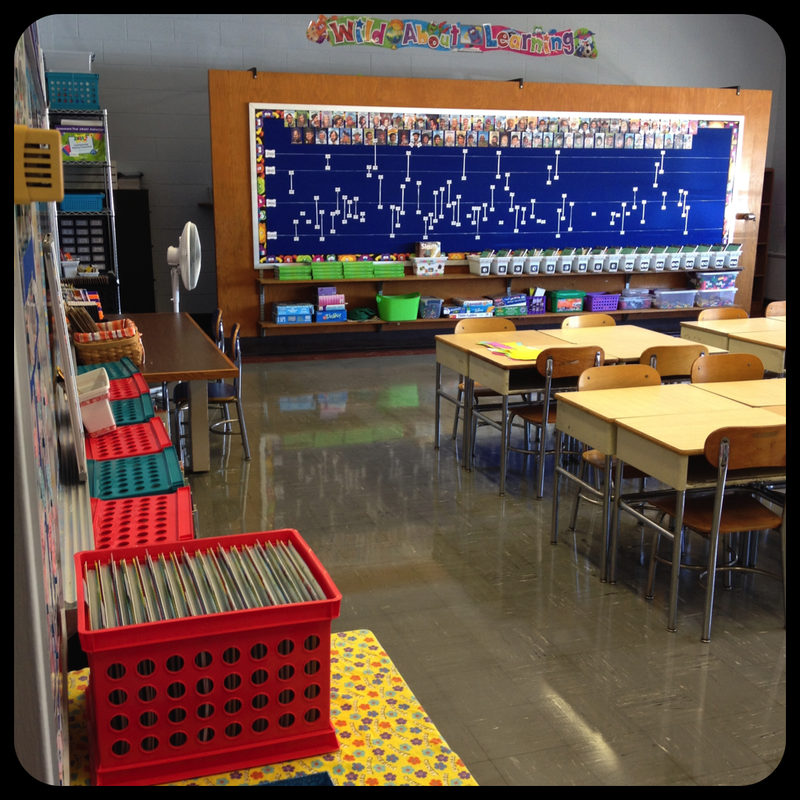 The next 2 sections hold the bins for math centers, the math games, and bins for the Interactive Math Notebooks. Above that I have my Math focus wall that still needs to be finished. On the shelves under Mary, I have some reading items, a holy book shelf, my lost and found, and the tissues. In the white crate on the floor I have all of my listening library. I forgot to take a picture of my guided reading table and the way I stood for the panoramic picture you cant see it. You can see some of the windows but I stopped when I got to them, so it is hard to tell. Here are 2 panoramic pictures to help get a sense of how all of this is put together. They make my classroom look much larger than it really is! 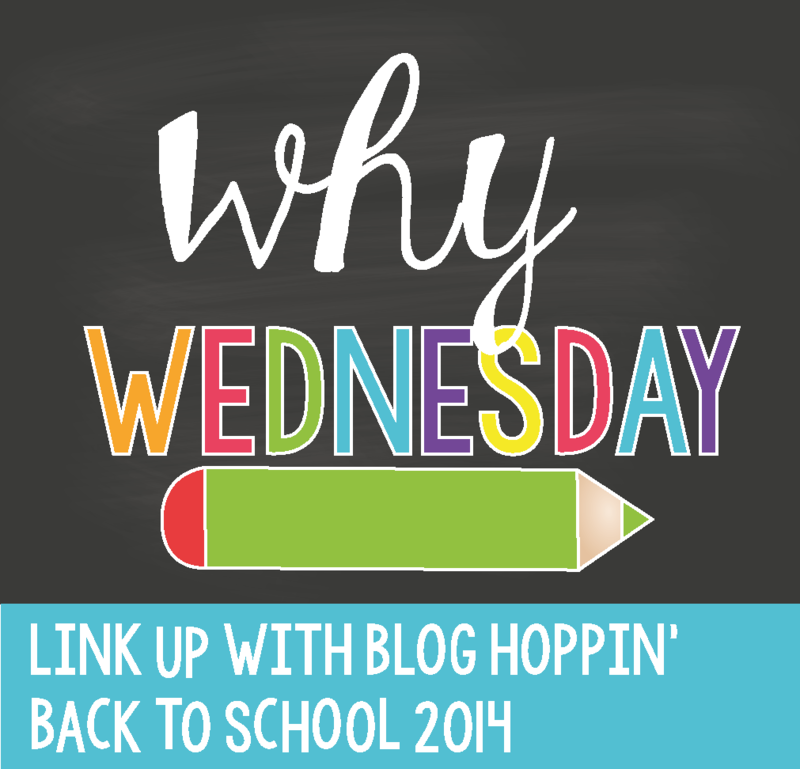 Thanks for reading about my classroom, I am going to go check out some other classrooms on Bloghoppin', I know I will get some great ideas, and I still have a week to put them in place! Have a great year! I love making things and sharing them for Monday Made It! Today I have something I "made" that is physical, and an item I made for my TPT store. I love how my pencil holder came out! I purchased an acrylic straw holder from Amazon, then I decorated! I put a piece a green foam in the end to protect the pencil points because it lives on a supply cart. I added a Melonheadz clip art to the end, and cut a giant pencil out of vinyl and placed that on. I store to on the top shelf of my supply cart (new this year) that will be stored in my closet at night (our rooms are used by religious education at night so things sometimes walk or break). The supply cart is not done yet, I am waiting for the rulers and scissors to come in that we ordered. The rulers will go in the white basket and the scissors in the cups on the bottom. I created this job chart as well. You can read more about it here, and if you want one you can get it in my TPT store! Which will be on sale for the TPT sale on the 20th! 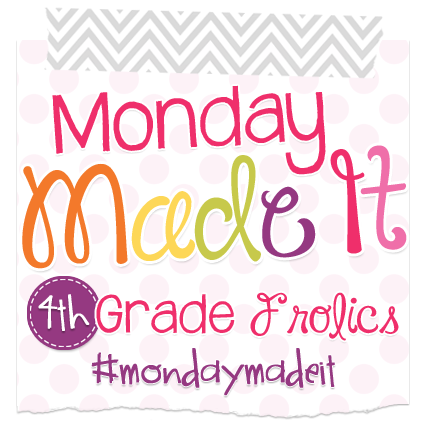 Thats it for my Monday Made It this week, be on the lookout for my classroom revel, hopefully it will be soon :) In the mean time, go visit Tara at 4th Fourth Grade Frolics and see how her straw pencil holder came out. Yes, we made the same thing! I am attempting to level my library books based on the DRA. Do you have any tips or tricks to help me? How do you level your library? Stop by and visit Christina at Second Grace Sugar and Spice to see what other pictures are there this week! 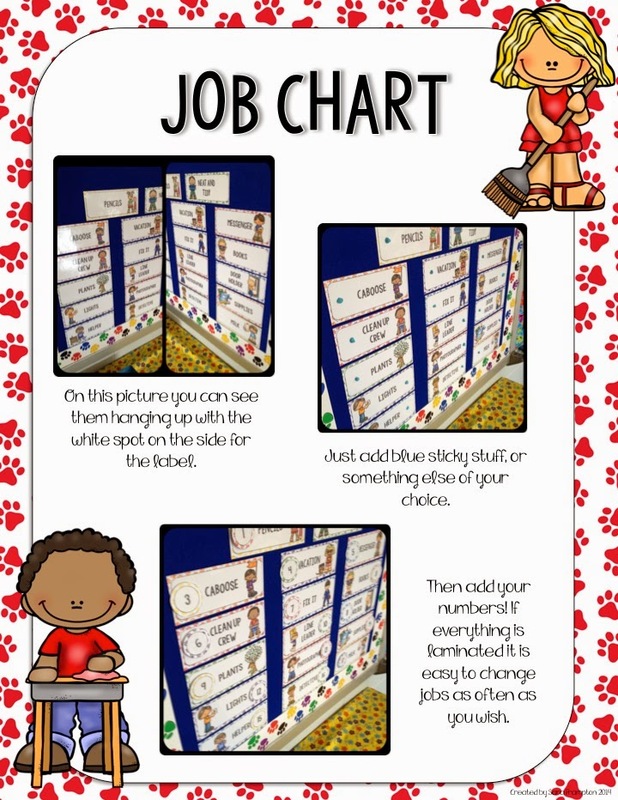 I made this job chart from my classroom, I loved it so much I decided to expand it and put it on Teachers Pay Teachers. I have 17 students this year, but I included many more jobs than that in the set. If you need any additional jobs, or a title changed just email me and I will be happy to help. 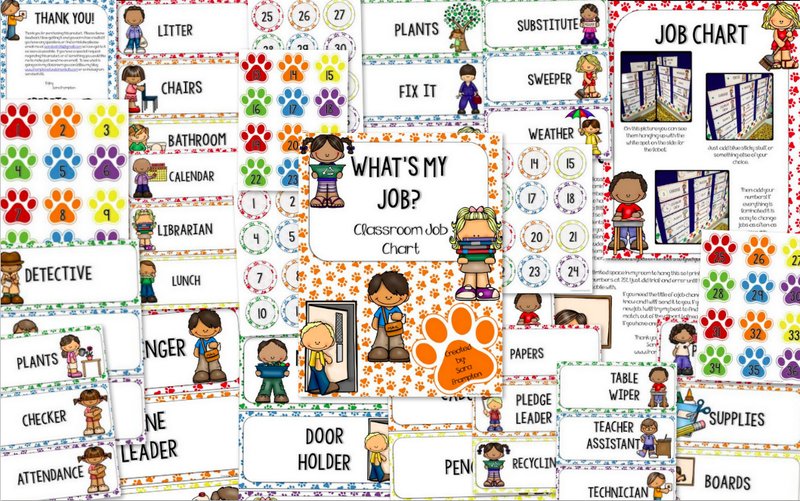 My Classroom Jobs Chart is posted on Teachers Pay Teachers! There are 2 sets of 36 numbers, one on a paw print and one on a circle. I am offering this product for $1.00 off until I wake up on Monday morning. I hope it can be useful in your classrooms! 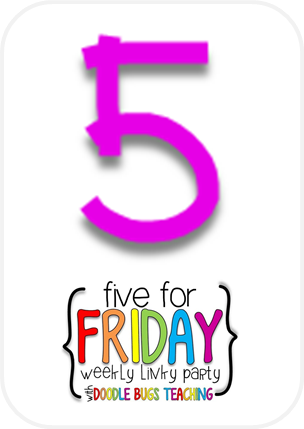 August Currently & Five For Friday!